I also have some photos of my work on Sunday I spent quite a bit of the morning stitching the last seven up as ornaments. Here are all the ornaments sitting on the sewing machine ready to be stitched into pillows. Here are the stages of the pillow. 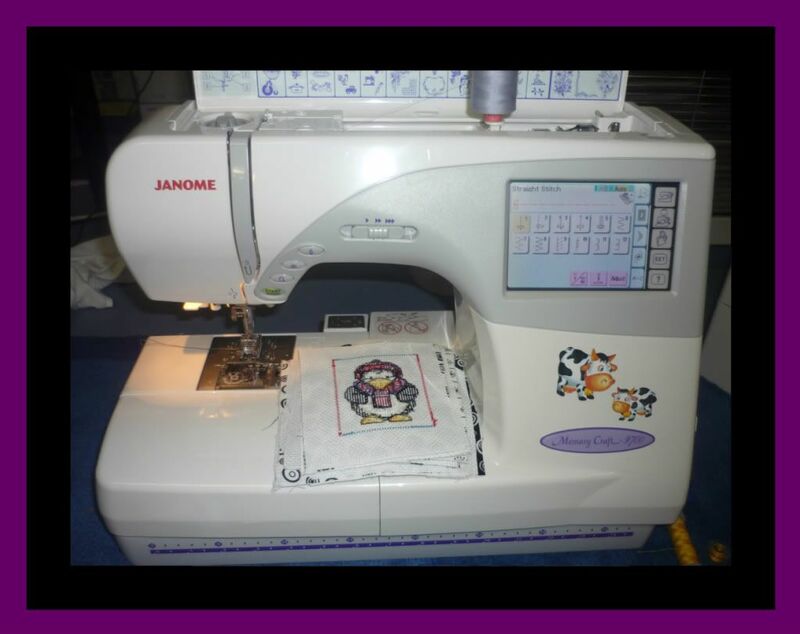 The left is the pillow stitched and the opening ironed into place ready to be stuffed. In the middle they are turned around the right way but the opening isn't stitched. And on the right it is stitched but still inside out. 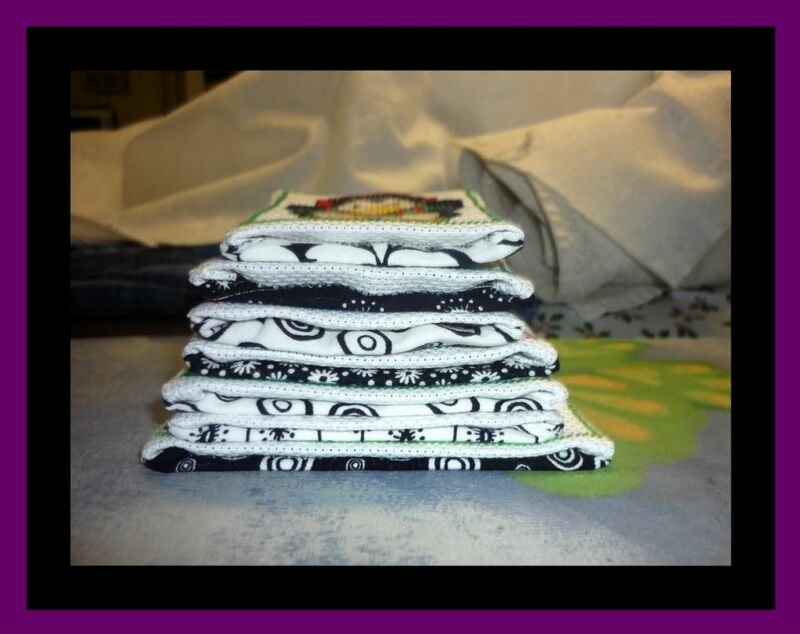 Here is the pile of little pillow packets waiting to be stitched. Don't they look so cute? Oh and just to add insult to injury I managed to open the car door onto my lip and I've managed to put a hole in my lip and it's all bruised. It's not my time! You sure are in the wars. I bet your lip hurt bit time. Hope you can sort out a camera soon. You certainly have been busy with your cute ornaments - they are sooo sweet. Oh, that's so cute! I really like the penguin's puffy vest. It makes him look especially round. 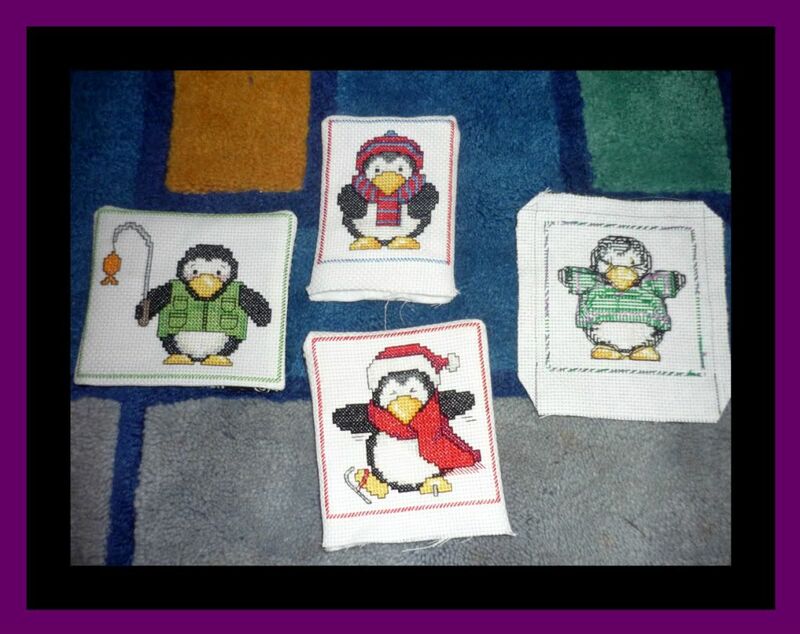 Those penguin ornies are going to be really cute when finished, looking forward to pics! I hope the lip gets better soon. So many penguins and they all look so cute! Great job. 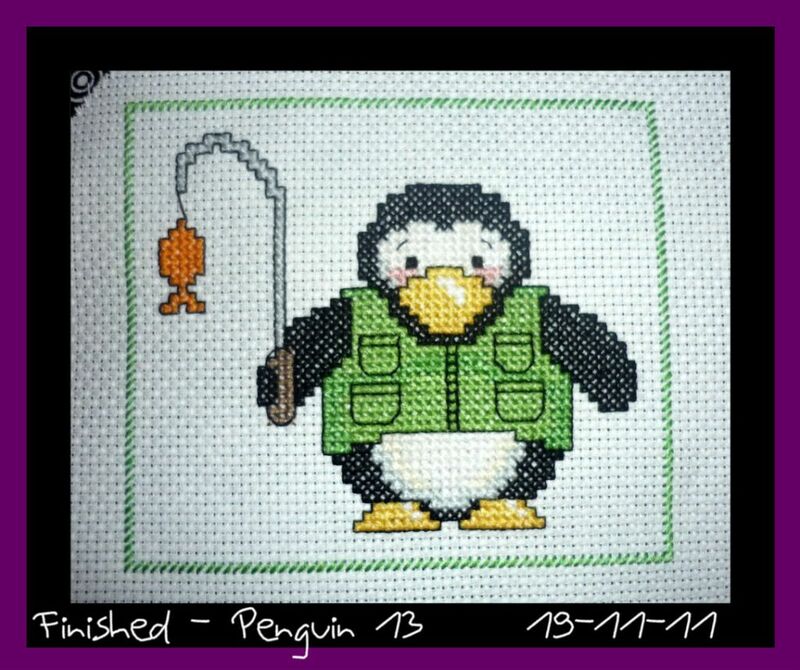 I love these penguins, and the fishing one would be great for my uncle so I am going to read your old posts again to see where you found the pattern! Do you have many left to do? Love all your penguin finishes!!!! I loooove these penguins!!! Have I said that already? Hehehehehe. Those penguins are the cutest little things!!! hello dear, its me cucki..thank you so much for your lovely comment on my blog..me so happy..i am glad we are friends. ia m your new follower now..
oh no dear,,,i hope your lips feel better soon. You are just having the worst luck lately! Hugs! That penguin is adorable! Congrats on getting him all stitched up. Adorable. 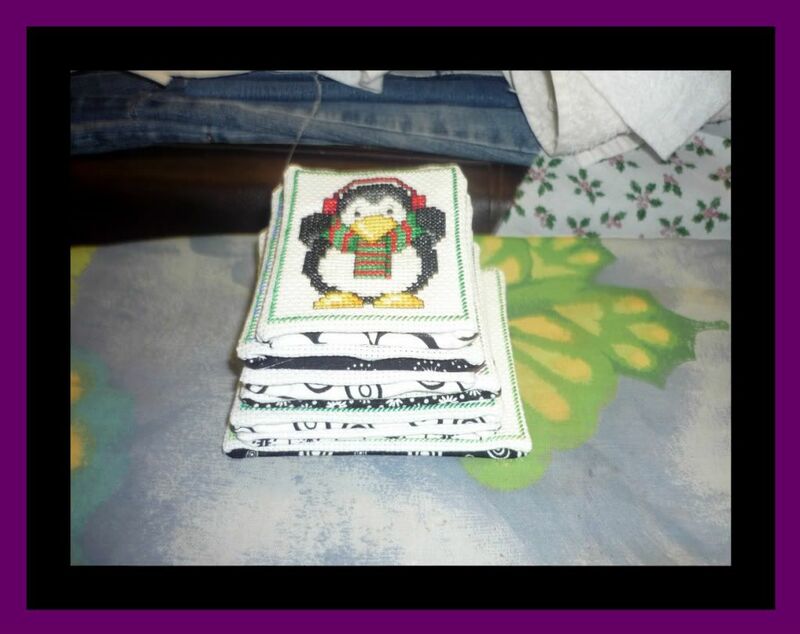 It would have taken me forever to get all those little pillows stitched together. Your penguins are adorable!! Hope you feel better soon, ouch! Thank you for stopping by my blog. Your ornaments are lovely!